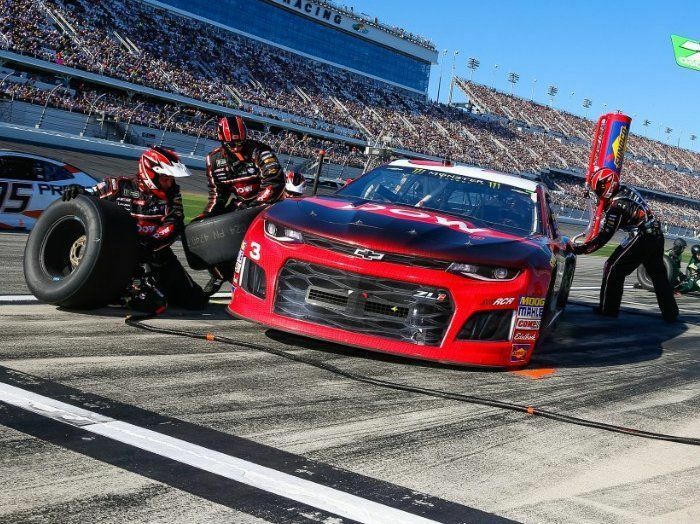 The first Chevrolet Camaro to compete in NASCAR’s big leagues got off to a great start, with Austin Dillon and his #3 ZL1 winning the Daytona 500, but since then, no Chevy team has won a points race, while Toyota and Ford drivers have won all of the other 14 races. When Chevrolet announced last year that the new Camaro ZL1 would become their official race car for the 2018 NASCAR Monster Energy Cup Series, muscle car fans were finally getting what they wanted. The Ford Mustang and Chevrolet Camaro – two of America’s longest-running and best-known performance cars – were finally going head-to-head in NASCAR’s big leagues. The two had previously battled in NASCAR’s Xfinity Series, but when the Mustang made the jump to the bigs – Chevrolet continued on with the sedan-based SS. Fortunately, with the end of production of the Holden Commodore and the Chevrolet SS, the company was forced to develop a new car for the Monster Energy series and they chose the Camaro ZL1 as to model. The first Camaro to run in NASCAR’s key series got off to a great start with Chase Elliot winning one of the Can-Am duel races before Austin Dillon won the Daytona 500 in his ZL1 race car. However, that was the last win of the 2018 season, not counting the Monster Energy Open, which is an all-star event – not a points race. Since the 2018 Daytona 500, there have been 14 races and either a Ford Mustang or a Toyota Camry has won all of them. Camaro driver Kyle Larsen is currently the highest ranking member of Team Chevy, sitting in 10th place in the standings. He hasn’t won a race, but he has led the most laps at two races and he has finished in the top 5 five times in 15 races, but he hasn’t won and neither have any other Camaro drivers since Daytona. For comparison, after 15 races in 2017, Chevrolet drivers had won seven races, Ford drivers had won six races and Toyota drivers had won twice, so after years of annual dominance, the Chevy drivers are struggling with this new Camaro ZL1 body. Along similar lines, including the Daytona 500, Camaro drivers have held the pole position just twice this year while the same basic group of drivers were the quickest in qualifying five times at this point last season – with Kyle Larsen sitting on the pole four times in the first 15 races after Chase Elliot held the pole for the 2017 Daytona 500. Based on the amount of research and development that goes into these bodies before teams begin buying them to go racing, it seems unlikely that the new Camaro ZL1 body is inferior to the previous Chevrolet SS body. However, with this new race car having a new shape, the teams will have to re-learn how to tune the suspension and aerodynamics of the car for every aspect of the event. Figure that in the last year of the Chevy SS race cars, the teams had spent five years working with those cars, but with the introduction of the new Camaro bodies, those teams have to work on all of the fine tuning required during the race. The Ford and Toyota teams have had years to get the tuning of their cars down, leaving the Chevrolet teams at a disadvantage, but we can expect that by the end of this season, the Camaro ZL1 will be stacking up some wins.